The litter box your cat prefers! Q: How much litter should I put in? A: The lines indicate 4, 5 and 6 cm levels for litter. The necessary depth depends on litter type, so please refer to your cat litter instruction. The Cat Potty works well with most types. Q: Does the Cat Potty really reduce litter mess? A: The potty seat definitely guards against litter being scattered by your cat. However, your cat may still get a little litter stuck in his / her paws if he / she digs. 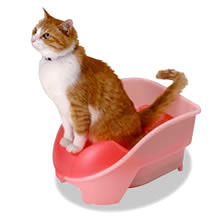 A: Make sure the rear of the Cat Potty is against the wall to encourage your cat to sit in the proper position. Even if he / she does sit backwards - no problem! 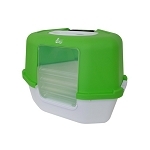 The Cat Potty is designed so it will still catch the droppings. 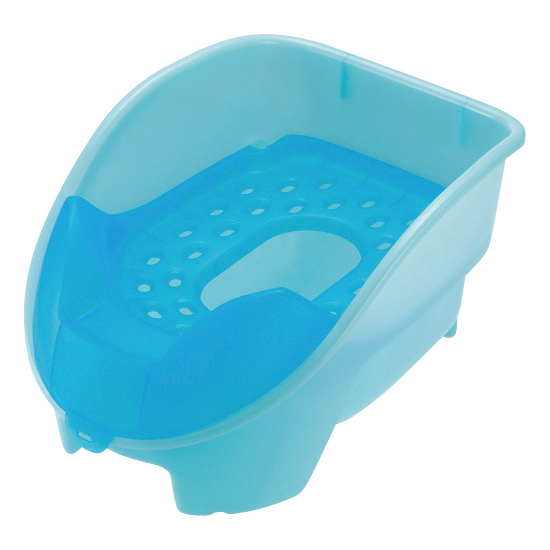 Q: Isn't the Cat Potty unsuitable for the owner of multiple cats? A: Basically, one Cat Potty is required for each cat. It's well-known that cats are quite territorial, so this applies to toilets as well. If there is only one Cat Potty being shared, the cats (especially less dominant ones) will feel a lot of stress. Q: When using clumping litter, doesn't it get clogged in the seat holes? A: The seat is designed not to clog. 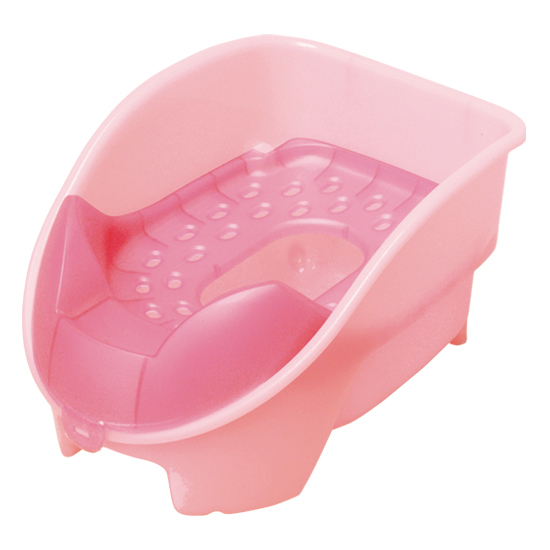 Also each seat hold is easily washed because the size is big enough for fingers. Q: Does the Cat Potty work for big, heavy cats? A: For cats up to 10kg, there's no need to worry! 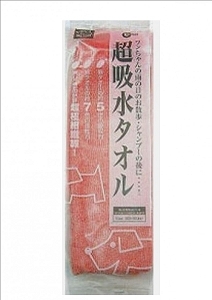 But, as with any type of cat toilet, elderly or sick cats may experience difficulty using it.